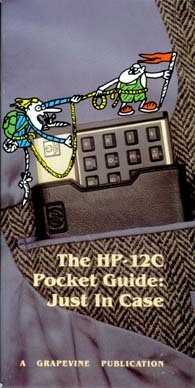 You'll like the convenience of this Pocket Guide! It's a quick-reference guide with lots of examples and the actual keystrokes you need to solve many real estate and financial calculations. And because the Pocket Guide is small enough to fit inside your calculator case, this powerful reference booklet can go everywhere you go! 2.75" x 5.25", 50 pp.